Masahiro Tanaka always has been must-see TV for Yankees fans, and now more than ever, with the drama heightened by the sketchy future of his ulnar collateral ligament. 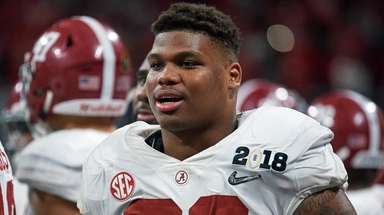 He's a $175-million dice roll, with the Yankees holding their breath on every throw. 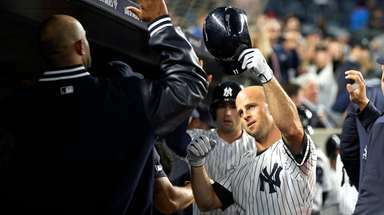 Not all that different from standing at the rail of a craps table, and the stakes feel pretty high for a team trying to separate itself in a lackluster American League East. While Tanaka attempts to show Tuesday night against the Nationals that last week's dominant return from the disabled list was no fluke -- he stifled the Mariners at Safeco Field -- the Mets have placed a different bet on Noah Syndergaard, the other marquee attraction on this particular Baseball Night in New York. 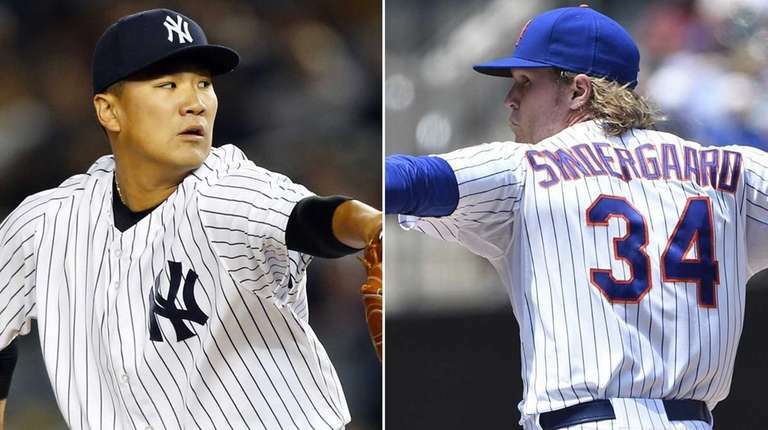 By the grace of MLB's bizarre scheduling machinery, the Yankees and Mets again will be playing nine miles from each other, with the opening pitches listed as five minutes apart. So close, and here in early June, both teams find themselves in similar circumstances. First place, for starters. And a pivotal piece for each of them to remain near the top during the next 3 1/2 months and perhaps into October will be on the mound Tuesday night. The Yankees were able to do that without Tanaka for six weeks. 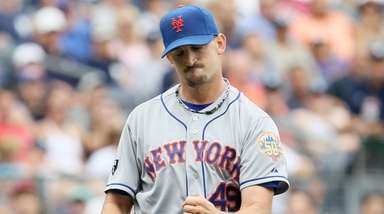 But their chances improve considerably if he continues to pitch the way he did Wednesday, when he allowed three hits and struck out nine in seven innings. Of all the superlatives from that game, the radar gun delivered the most gushing: a fastball that reached 96 mph, more gas than we've seen from Tanaka since he was first diagnosed with the small UCL tear last July. To say that Tanaka's elbow is as good as new is a stretch. But if a pitcher's health can be measured by velocity, the armchair prognosis for Tanaka looks promising. As we learned with Tanaka's recent wrist and forearm issues, a pitcher's status can change abruptly. At this moment, however, it's thumbs up for Tuesday night's duel with Max Scherzer, whose 1.85 ERA is second in the NL to the Pirates' Gerrit Cole (1.73). And Tanaka didn't say much to squash the optimism when he was asked during the weekend how he feels. "I think it's pretty similar to the good run that I had last year," he said. The Yankees should be so lucky. Before that fateful MRI, Tanaka was 12-4 with a 2.51 ERA and a 9.39 K/9 rate despite two clunkers, by his standards, right before going in the tube. Over at Citi Field, however, the hyperbole dial still goes to 11, as you might expect from a place where Thor and the Dark Knight call home. With Thor -- aka Syndergaard -- the challenge seems twofold: not only win but keep the new "K" board in leftfield flashing. Syndergaard, unlike Tanaka, doesn't have an injury to overcome. 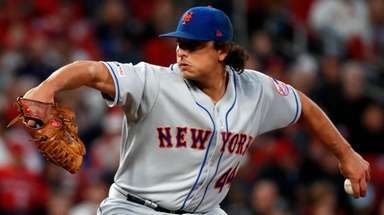 But Tuesday night's visit by the Giants, who are tied for the wild-card lead, represents another measuring stick for a 22-year-old making only his sixth major-league start. So far, Syndergaard has run into typical rookie potholes, resulting in high early pitch counts. 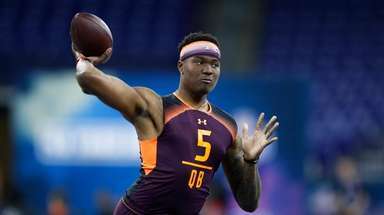 But the 98-mph fastball is there, along with a knee-bending curve, and he's performed well enough (3.77 ERA, 10 K/9) to make the Mets re-evaluate their rotation plans. 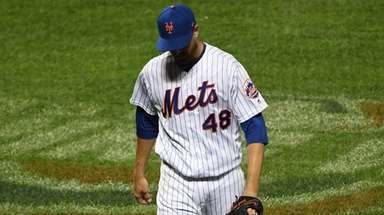 Syndergaard was first promoted to replace the ailing Dillon Gee, who now has been forced to the bullpen. Before long, Steven Matz -- Syndergaard's rotation-mate at Las Vegas -- should be joining him in Flushing. With Syndergaard securing a foothold in the big-league rotation on the heels of Matt Harvey and Jacob deGrom, we're seeing the final brushstrokes of the Mets' long-term pitching blueprint. But that's getting ahead of ourselves. Even minus Pablo Sandoval, the reigning world champion Giants have a team OPS of .737, ranking them third in the NL behind the Dodgers and Rockies. That's what Syndergaard has in front of him. As with Tanaka, best to take all of this one start at a time.